Here is easy but interesting Mathematical quick brain teaser for kids to test your Mathematical skills. 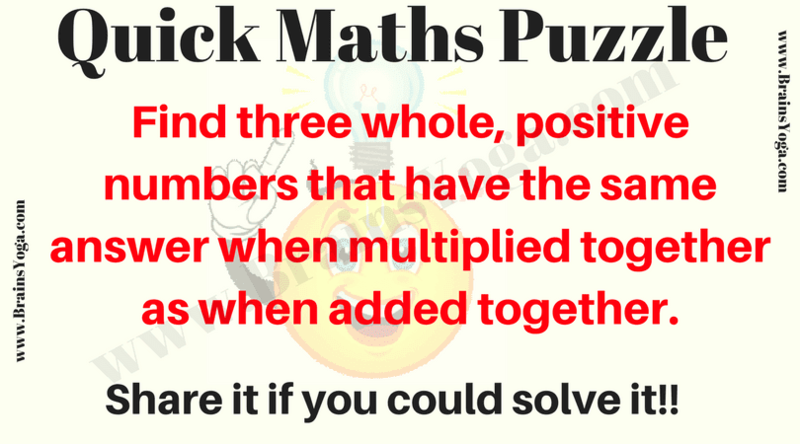 Can you solve this Math Puzzle as quickly a possible? Can you solve this Math Puzzle quickly? The Answer is 1, 2 and 3.